Product #46085 | SKU PDE002-B00000 | 0.0 (no ratings yet) Thanks for your rating! 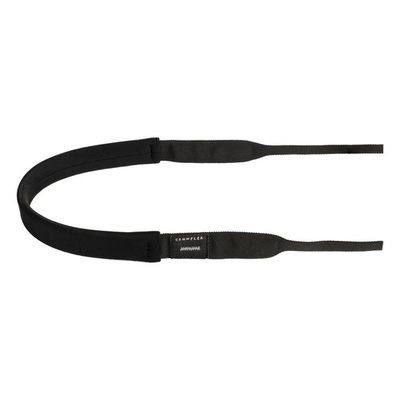 The Popular Disgrace Camera Strap (Black) from Crumpler is an easy-to-use and comfortable way to carry around your digital point-and-shoot camera. With its neoprene composition, the strap will feel good on your shoulder and back. It's easily adjustable and tapered to be wider at the neck and narrower at the ends where it neatly attaches to your camera. Guaranteed for life and reasonably priced, this is a simple strap that will help your photography be more comfortable.